Uranium contamination and exposure is increasingly becoming a problem in the modern world. Could something as simple as baking sodium protect against its destructive properties? 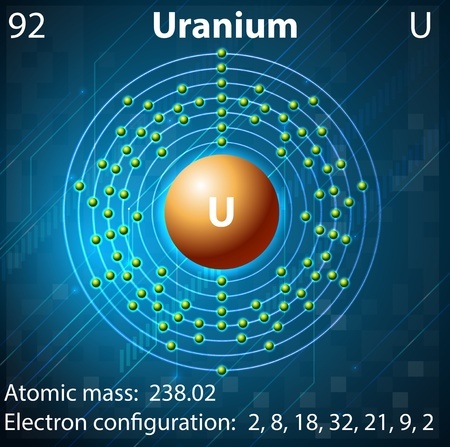 Uranium, the basis for the entire nuclear energy and military weapons cycles, while not itself highly radiotoxic, has been shown to amplify the genotoxicity of background gamma radiation by 500,000 times the normal rate when absorbed into the DNA of the body (See Dr. Chris Busby Video http://youtu.be/FfNyZ9Kryb8). With a half-life of 4.6 BILLION years, it is time we start learning more about the nuclear industry and why nothing could be more insane than driving steam-powered turbines with it for energy, or blasting the "enemy" into bits with it (e.g.... depleted uranium munitions), when it blows back globally to poison the aggressors and their progeny for eternity. Also, do yourselves a favor and bookmark this document: 2010 Recommendations of the European Committe on Radiation Risk: The Health Effeccts of Exposure To Low Dose Ionizing Radiation http://www.euradcom.org/2011/ecrr2010.pdf This explains how a revolution in science has occurred, explaining how present concepts of radiotoxicity assumed by all world governments, all mainstream medical and media outlets, minimizes the true radiation risks associated with internal emitters (inhalation or ingestion of radioisotopes) by up to 1000 FOLD.